A famous motivational speaker once said that you are the average of the five people you hang out with the most. Presumably, he wasn't referring to your immediate family—if you have three toddlers, for instance, that brings the average down pretty low—but to the people, you associate with at work and during your leisure time. In fact, the single most important predictor of your success, in the legal profession as in any other, is the company you keep. Does this mean that you should ask people their income level before you invite them out to dinner or go bowling with them? Not at all! In this context, “success” refers to the person's general attitude about life. An individual can make $20,000 a year and still be considered a success, if he's content in his job, isn't saddled with too much debt, and has a happy home life. A person who makes ten times that amount may be considered a “success” based on the sheer income figure, but if he's miserable otherwise, that's probably not much of a consolation. Not being especially interested in doing anything to improve their lot in life. It takes less effort to complain than to come up with a practical solution. 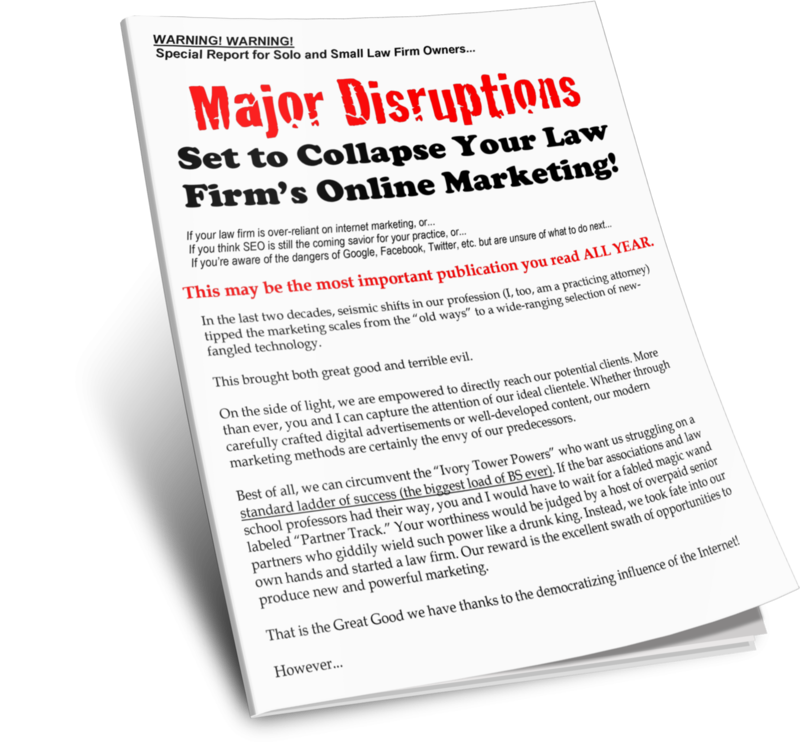 Great Legal Marketing Says: Improve the Quality of Your Company! If you have been hanging out with the same set of friends and business associates for years or decades, you may not even be aware of the subtle ways that they're hindering your own success. Usually, it takes an objective party—a spouse, a consultant, etc.—to point this out.